WDW Radio is the award-winning podcast dedicated to celebrating the magic of Walt Disney World, Disneyland, Disney Cruise Line, Marvel, and Star Wars. Tune in and subscribe for Disney news, vacation planning, trivia, contests, history, interviews, as well as attraction, dining, and resort reviews. 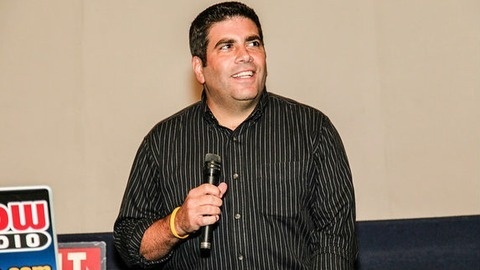 Hosted by Disney expert, author, and speaker Lou Mongello, this family-friendly show has been named Best Travel Podcast for 9 consecutive years, and also features a blog, videos, LIVE broadcasts, welcoming community, and special events. It is also home to Lou Mongello's Walt Disney World Trivia Books, "102 Ways to Save Money For and At Walt Disney World," and Audio Guides to Walt Disney World. Learn more at http://WDWRadio.com. Star Wars Celebration was held this past week in Chicago, and I was invited to cover the event that not just celebrates fandom, but what’s new and next in the parks and on the big and small screens. We will explore what we learned about Star Wars Episode IX, The Rise of Skywalker, the Mandalorian series coming to Disney+, as well as what we saw on the show floor and in the Galaxy’s Edge panel and booth including new details about the Play Disney Parks app, interactive experiences, dining options, and a galaxy of unique merchandise. No matter your level of Star Wars fandom (or midichlorian count), there’s something here for you… and to get (very) excited about. 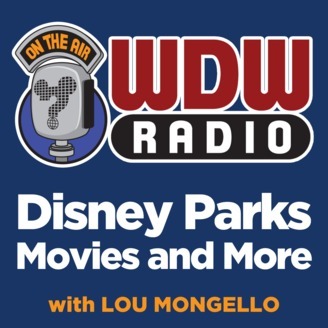 Sit back, relax, and enjoy this week's episode of the WDW Radio show. Thanks for listening! Be sure to tune in next week! Let me help you turn what you love into what you do, and speak at your event! THANK YOU for your support by voting WDW Radio Best Travel Podcast for 9 consecutive years! Visit http://WDWRadio.com for our Disney blog, videos, events and more! WDW Radio # 550 - Listener Email: Liberty Square, convention strategies, Disneyland, books, predictions, and Lightning Round!